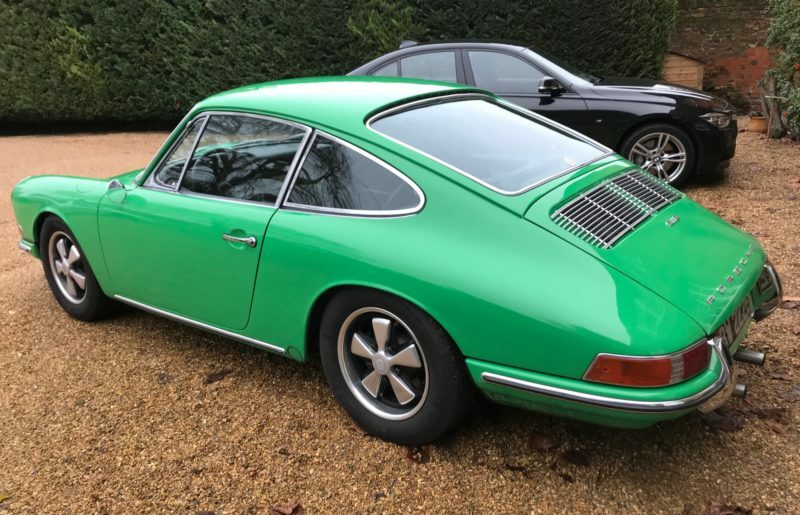 Originally sold by Revival around 8 years ago as a wonderfully unmolested project car, the car has since been restored to a great standard and fast road specification by its enthusiast owner. 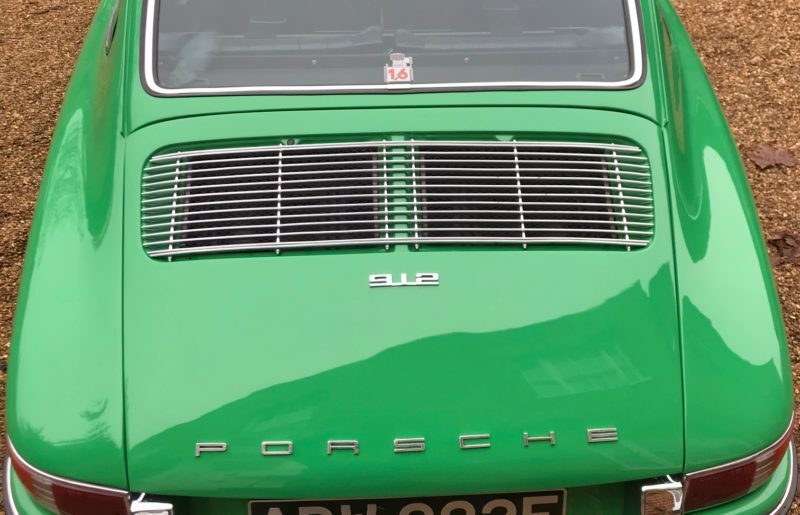 Work began by media blasting the shell back to bare metal, the car was then installed on a jig and new panels professionally installed by a marque specialist as required. 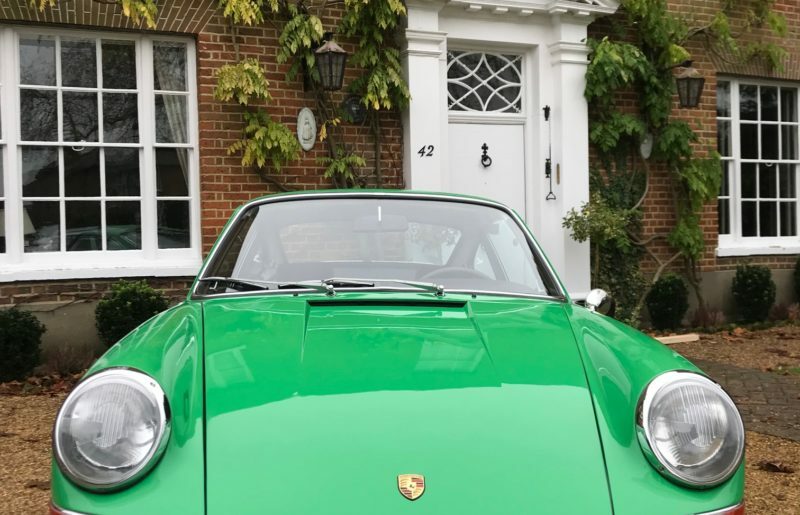 On completion, the car was treated to a quality repaint in the ever lovely ‘Signal Green’ – The net result is a rock solid example, with great panel gaps and absolutely no rot. 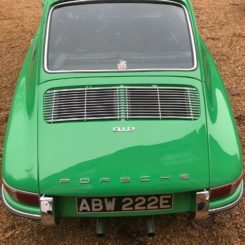 Both the engine and optional five speed transmission have been rebuilt, the latter to fast road specification featuring a ‘NeuTek’ SX-1 camshaft, full flow oil filtration and rebuilt Solex P40 carburettors. 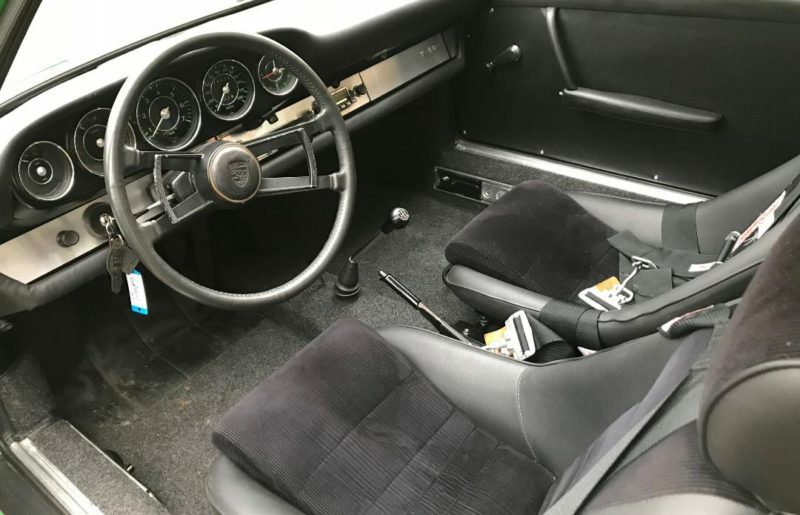 The interior has been fully retrimmed and given a mild hotrod slant, with the addition of new period style race seats and RS pattern door cards, whilst maintaining an overall stock appearance – Should the new owner wish to return the car to standard, all original parts were kept by the owner and are available. 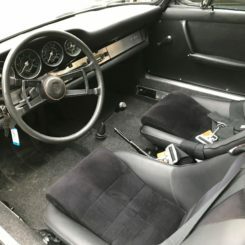 The suspension and brakes have been both overhauled and uprated with the addition of adjustable front dampers and vented discs, respectively. 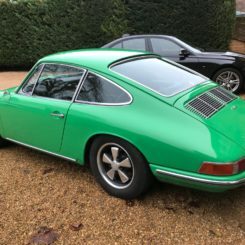 The Fuchs alloys have been professionally restored and correctly detailed, new tyres fitted. 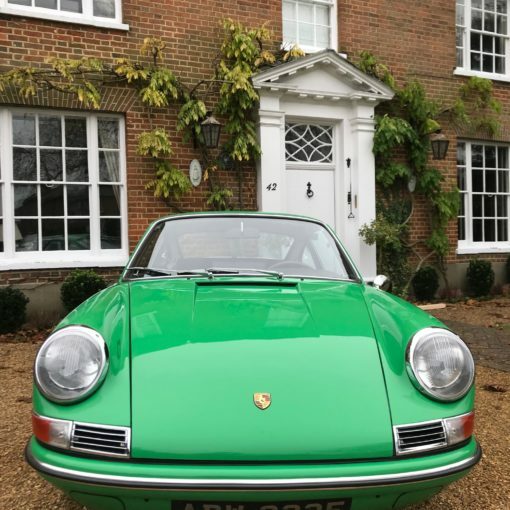 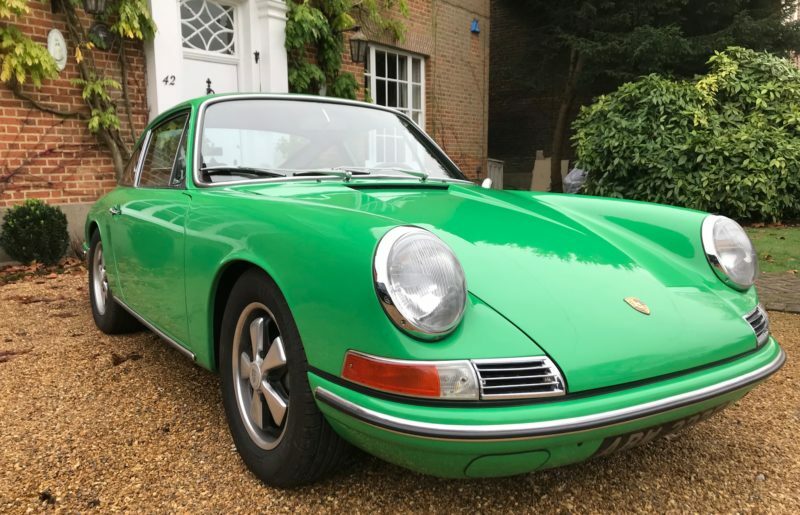 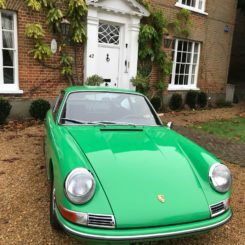 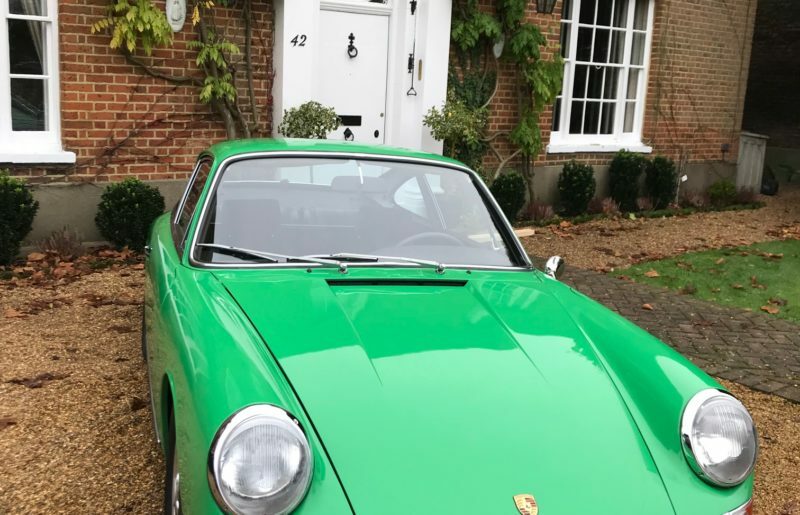 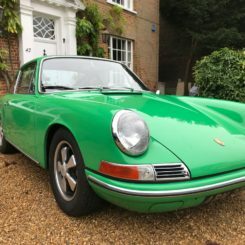 In summary, a stunning example in a desirable and extremely rare, period colour – I’m pretty sure this is the only Signal Green 912 we’ve ever had through our doors for either sale or service. In light of the large stack of receipts that come with this vehicle, this 912 offers its new owner real value for money.